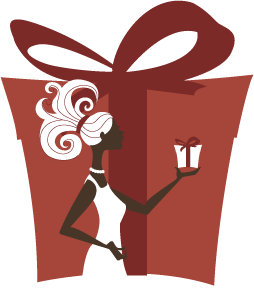 You will receive the holiday collection of Soft Lips lip balms. The flavors are: mint, winter mint, sugar cookie, sugar plum berry and sugar and spice. I am absolutely loving sugar plum berry. • What is your favorite lip product? I love soft lips...unfortunately my favorite would probably have to be just straight up vaseline or Eucerin....I'm scaly! Can go wrong with plain old Vaseline! Can I just say I love gingerbread houses! My favorite is Burt's Bee's lip balm in the tube. I haven't tried soft lips, but would like to. I loveeeee soft lips! Although burts bee's is probably my number one! FMF is on my blog roll! love the christmas lights -- i love driving around town and seeing all the gorgeous decorations!! also, i'm a follower and LOVE soft lips And have you on my blogroll! Love those lights and hot cocoa is my fav!! The Sugar and Spice one looks great! I didn't realize soft lips has so many options. Typically i buy vanilla or cherry by soft lips. It's my favorite! My favorite lip product is the Vanillamint lip gloss from B&BW! I also posted a blog about your giveaway! Check it out! 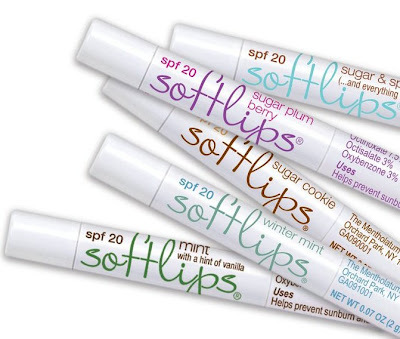 I dont have a blog but would love to win the sugar cookie softlips! My favorite lip product is medicated Spearmint Chapstick!! It always works in the winter!! I would love to try the softlips though! i love fresh sugar lip treatments! I love Sally hansen natural lip butter shimmers. my fav lip product is MAC..anything MAC...although i do LOVE softlips!! perfect. i am obvi. already a follower, fyi! My favorite lip product is simply Caramex chapstack. My lips get very dry, and this heals them so well! i didn't know soft lips came in so many flavors! my fave lip product is coconut lip butter by the body shop, i'd give soft lips a try though! added you to my blogroll and am a follower. OH I want that big cup of hot chocolate! I love Estee Lauder lipstick and I always have Chapstick in my purse. Cool giveaway. I love Rosebud salve but I also love Softlips a lot too! My favorite lip product is my day to day vaseline rosy lips. I just became your 500th follower. How cool is that? My fave lip product is Chanel Glossimer! i have soft lips in my drawer right now! it says "Pomegranate Softlips" certified organic. i love the stuff! My favorite currently would have to be Rodin's Olio Lusso lip balm. But Softlips look divine as well. Would love to win! 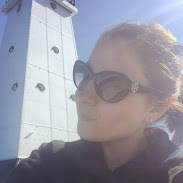 I added you to my blogroll too! I use some sort of Neutrogena (I think) nighttime lip moisturizer every night, that seems to be when my lips dry out the most. I like Burt's Bees and Avon. My favorite is Philosophy lipgloss. It's yummy and the perfect amount of glossy! My favorite is actually soft lips, the shimmer ones are great. My favorite is Blistex Complete Moisture.